It’s a critical time in Gamindustri – the so-called CPU Shift Period, when people start losing faith in the CPUs. 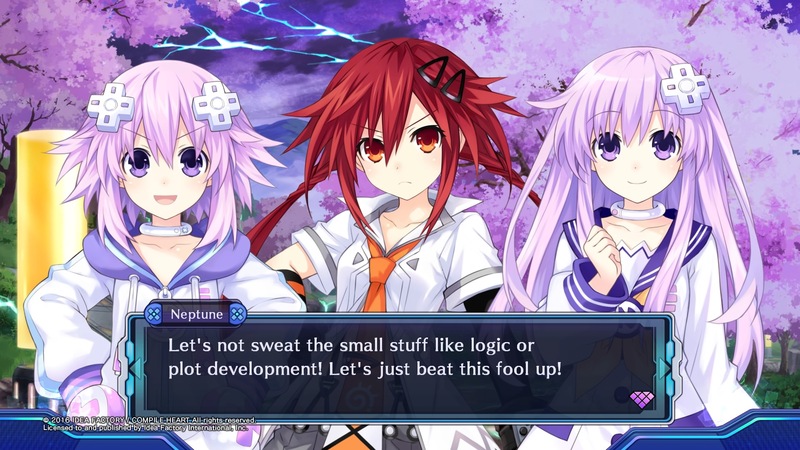 Our heroine Neptune is still slacking off and playing games, but that won’t prevent a new adventure from starting. 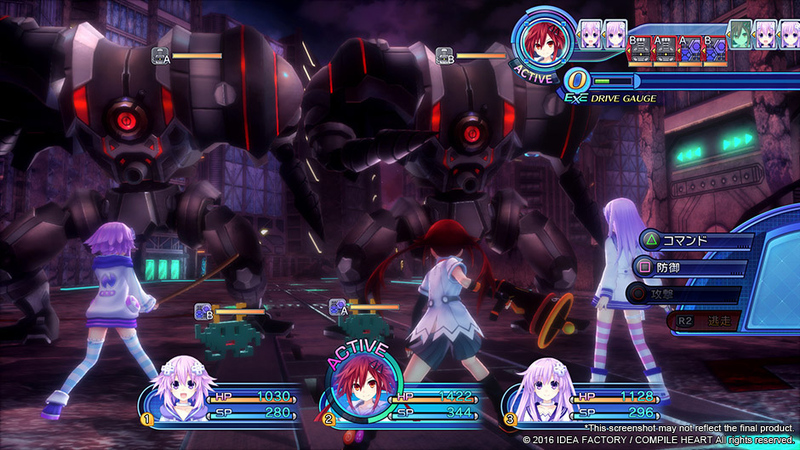 First, there’s a trip to the Zero Dimension to help CPU Uzume save her nation from a rampaging monster. Then, back home, a mysterious organisation called the Gold Third seems intent on taking over all of Gamindustri. 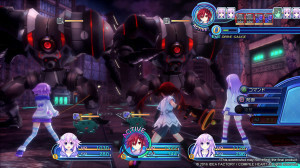 Can the CPUs and their little sisters fight back against this new wave of enemies? 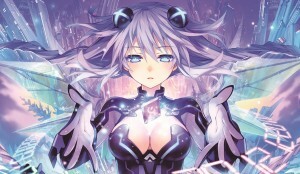 The market’s been pretty saturated with Neptunia titles over the last year or so. We’ve had Vita remakes of the original trilogy, spin-offs galore, and now the series has made the jump to the PS4, with this, Megadimension Neptunia VII (pronounced V-2). 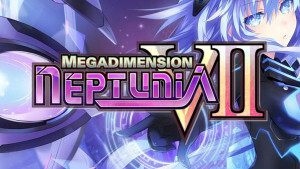 Not so much a single game as three shorter episodes presented back to back, Megadimension Neptunia VII is recognisably a Neptunia game. There are lots of light-hearted cutscenes and fourth-wall breaking jokes, interspersed with explorations of dungeons that will be instantly recognisable to anyone who has played the earlier games in the series. Yes, everything is much the same as always, and unfortunately, where it differs, it’s never much for the better. For example, the World Map has been revamped so you actually have to travel across it, with random encounters on the way. Annoyingly, every time you have an encounter, you have to set your destination again, so a simple trip from A to B can in itself become quite tedious. Cutscenes seem longer than ever, with the only consolation being that you can skip them completely as well as fast-forwarding. When you actually get to explore a dungeon, however, things feel little better. The Gamindustri locations look much the same as they have for thelast few games, and the new ones are only marginally different. Battles have been tweaked a little, but this only makes them feel more drawn out than before, and the story forces you to use specific party members for large swathes of the game instead of letting you choose your favourites. Visually, Megadimension Neptunia VII takes advantage of the jump to PS4 to smarten up the graphics a little. The sound effects and music don’t appear to have changed from previous titles, and neither has the voice acting. The Japanese voices aren’t included with the game and must be downloaded as free DLC; this is recommended since many of the English voices are irritatingly repetitive. 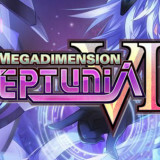 It’s not that Megadimension Neptunia VII is a particularly bad game, it’s just that it doesn’t really bring anything new to the table. With gameplay that doesn’t quite match up to its Vita predecessors, and lengthy cutscenes that fail to engage, this game can often feel more like a chore than actual fun. 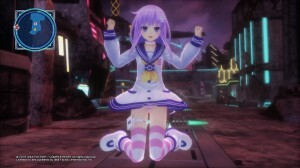 If you’re new to the series, you’ll probably find it decent enough, but long time followers of the franchise are probably starting to experience Neptunia fatigue by this point.